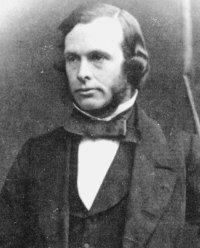 Joseph Lister 5 April 1827 – 10 February 1912 West Ham, Essex, England. Lister was a British surgeon who pioneered antiseptic surgery. Lister successfully introduced carbolic acid to sterilise surgical instruments and to clean wounds, which led to a reduction in infections and made surgery safer for patients. Lister was appalled that a surgeon was not required to wash his hands before operating on a patient. Surgeons at the time took pride in the accumulated blood stains on their unwashed operating gowns as a display of their experience. Lister was aware of the work by the French chemist, Louis Pasteur, showing the existence of micro-organisms. Lister conducted his own experiments and decided to use his findings to develop "antiseptic" techniques. Lister was aware that creosote was used to preserve wood and treating sewage. Lister tested the results of spraying instruments, the surgical incisions, and dressings with a solution of carbolic acid. Lister found that the solution swabbed on wounds remarkably reduced the incidence of gangrene. He subsequently published his results in The Lancet in a series of 6 articles, running from March through July 1867. He instructed surgeons to wear clean gloves and wash their hands before and after operations with 5% carbolic acid solutions. Instruments were also washed in the same solution and assistants sprayed the solution in the operating theatre. As the "germ theory of disease" became more widely accepted, infection from surgery dropped dramatically. This led to the rise of sterile surgery. On the centenary of his death, in 2012, Lister was considered by most in the medical field as "the father of modern surgery". 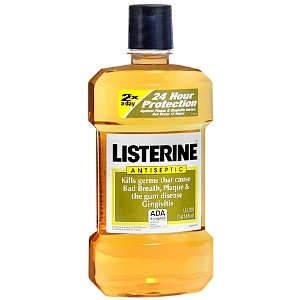 In 1879, Listerine mouthwash was named after him for his tireless work. This is now popular in many parts of the world.